We’ve assembled the most popular and often-asked questions. If you don’t see your questions answered here, contact us! We’d love to hear from you. 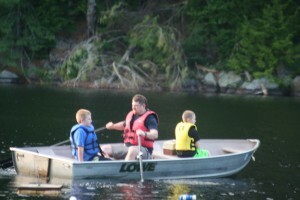 Our campers will have up to 8 boys per cabin. There are typically 8 campers to 2 counselors. 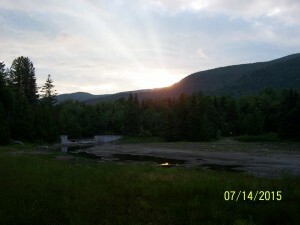 Our camp’s capacity is about 120 campers per week. 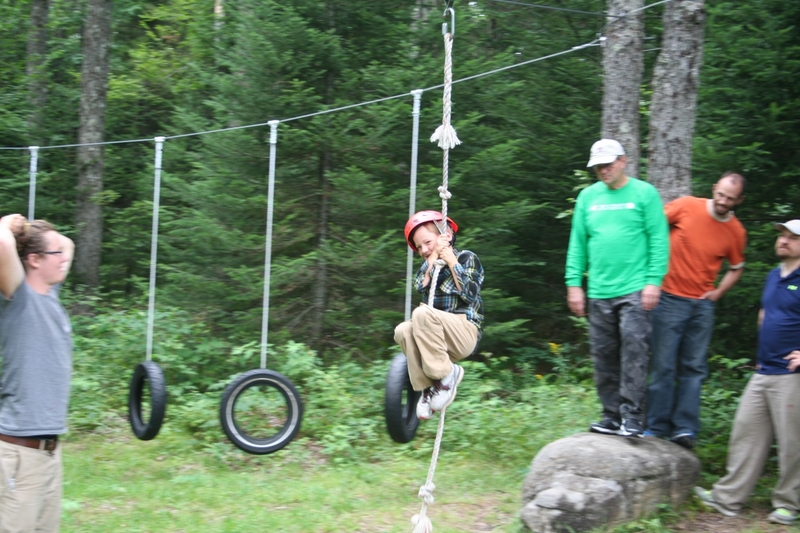 However, most campers will only experience camp within their age program. 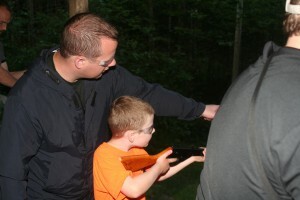 Campers can expect to be in large group activities with up to 60 other boys their age. They will experience Skills in a smaller group setting of 8-16. Our campers are age 6-16. The youngest age group is called Tree Climbers, which is a three-day Father and Son program for boys ages 6 and 7. At age 8, campers can attend a full week of Stockade camp. Then at age 12, campers move to our Battalion camp which goes up until the age of 16. 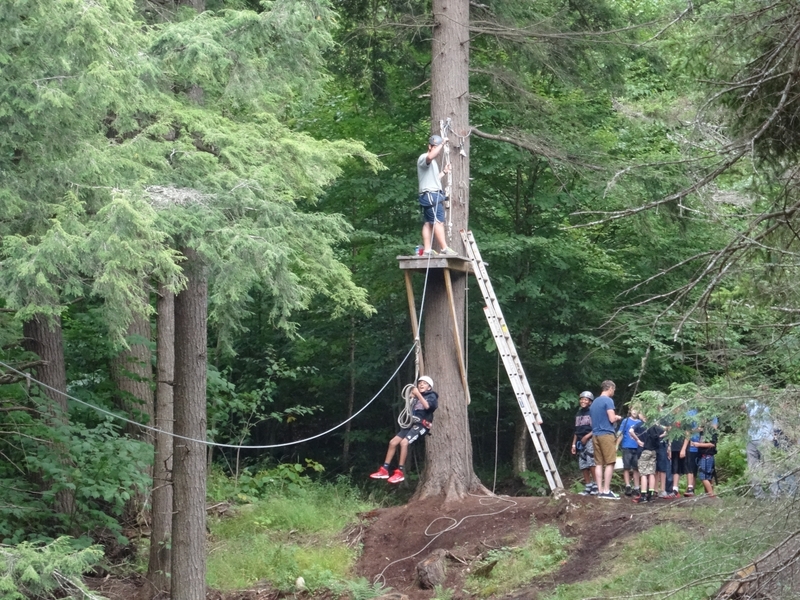 At the age of 14, many of our campers opt-in for one of our trips or participate in our leadership program, CORE Training. We place campers with peers of a similar age. We try to honor cabin requests so long as it is mutual and the boys are of a similar age. Helping boys overcome the challenge of homesickness is part of what we do. Camp is a wonderful opportunity for a camper to grow on his own. Our counselors are trained to validate their emotional response to be completely normal, and then give the camper coping mechanisms that will help them learn and become stronger. Our administrative staff supports our counseling staff to ensure that your son is encouraged and comfortable at camp. Camp is about making friendships that can last a lifetime. Your son will be spending time with boys his own age while learning new skills and having his best summer ever. 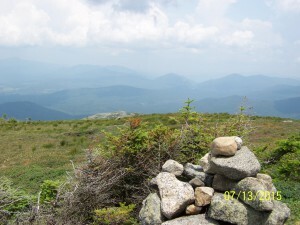 Often, a call from a parent produces an increase in homesickness. This is also true of visits to the camp. However, campers can receive mail so we encourage parents to write often! You can also send a one-way email through our contact form which is delivered to our campers during lunch and dinner times. Camp is a device free zone. By unplugging from these electronic distraction, campers engage and interact with the people and world around them. This allows for healthy and rapid growth. We offer dozens of activities for your son to be involved with including Rock Climbing, Rifle Shooting, Archery, Wood Working, Sailing. Fishing and much more. We celebrate every birthday at camp. At dinner time on your son’s special day, the entire doing hall will sing the traditional birthday song while he blows out the candles on his own ice cream sundae! 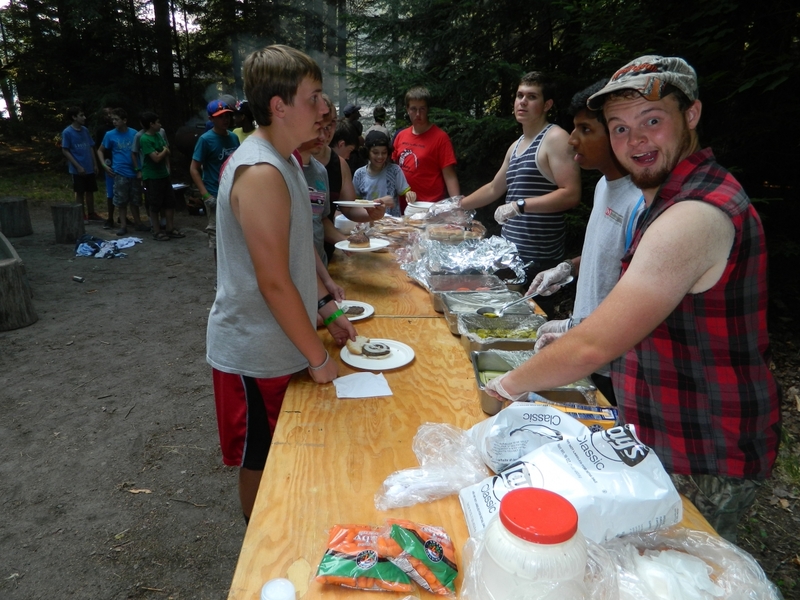 We have a wide variety of balanced meals which encourage our campers to try new things, while also maintaining a baseline of familiarity. Breakfast can include eggs, sausage, pancakes, fruit, and cereal. Lunch and dinner may include chicken, pasta, sandwiches, fish, mashed potatoes and vegetables. Our kitchen crew is able to accommodate dietary needs. Any food allergies should be discussed before your son’s arrival to ensure that we can accommodate your son’s needs. Please contact our Food Service Coordinator, Kelly Studley, for more information. Northern Frontier holds itself to the highest standards of health and safety for summer camps. Our camp is accredited by the American Camp Association which confirms that we comply with their standards of professional practices in all areas of operation including facilities, healthy and safety, food service, staffing and program. HOW DO YOU HIRE COUNSELORS AND STAFF? We seek staff members who are passionate about serving Christ, love the outdoors, and are excited about youth development. Many of our staff start out as Northern Frontier campers while are others are invited by our current staff and alumni. Each staff person goes through an application process, are interview, have reference and background checks completed, and then attend staff training at camp. We are proud to provide camp scholarships, but funds are limited to those who can demonstrate financial need. Please contact us directly for more information about how to apply for a scholarship. There are additional discounts that you can take advantage of including early registration and sibling rates. For more information, contact our Camp Registrar. DO YOU OFFER AN SPECIAL DISCOUNTS FOR PASTORS OR MINISTRY LEADERS? Yes we do! Please contact us directly for more information about this opportunity. Camp Cedarbrook in the Adirondacks is only a short distance from our camp and offers a quality camping experience for girls that shares our values.